Whatever is the challenge to find new opportunities in healthcare, we will work hard to bring new technologies for a better humanity. I was, I am and I will be there without any compromise regarding Cherry’s ambitions! 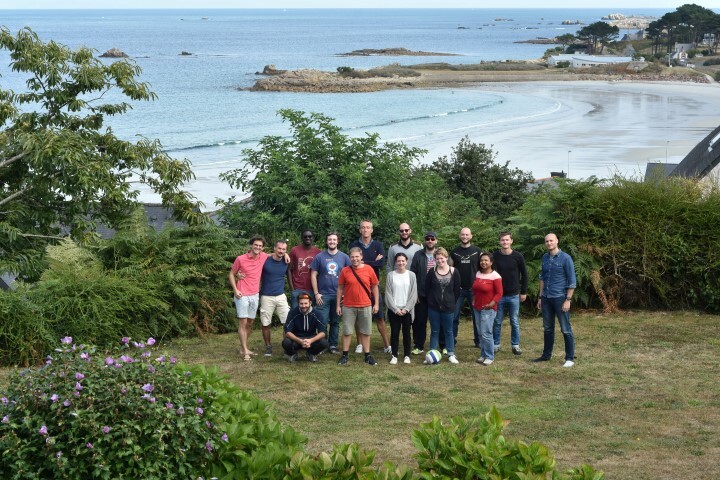 After 9 start-ups founded, Guilhem holds a deep understanding of innovative business models. Creative Dario focuses on implementing the best solutions to our platforms. At the frontiers of biology and engineering, his skills are a “dulce” receipe for innovation. To him science and technologies are hobbies, not only jobs, which he enjoys to explore and combine to solve practical challenges. Ichi-go ichi-e! Damien’s happiness drives all our engineering team. He interacts a lot with our customers to get their feedback and improve our solutions. We the best care for our technologies to reach labs worldwide and contribute to top-level science. This is Nadia’s mission at Cherry! Pierre coordinates our scientific collaborations to place Cherry at the center of the upcoming NBIC revolution. Pablo brings his expertise to the European H2020 program DivIDE. He focuses on providing microfluidic solutions for high-resolution live-cell imaging. Alex does his best to find out new applications for our products. Not an easy task when dealing with high-level science! Blanca focuses on each single detail which makes huge differences when dealing with living cells and complex technical environments such as microscopy. Big science on cell division, sure, but Cherry’s founders will keep in mind his constant energy and support. Serial-entrepreneur too, Solange finds time to advice Cherry while driving the great Medoucine start-up!